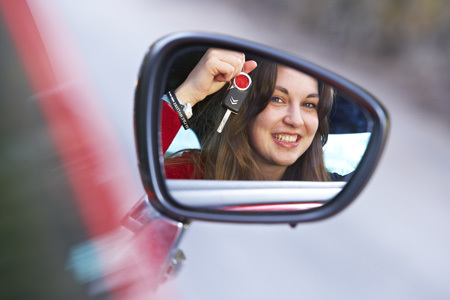 Refresher Driving Lessons – Regain Your Confidence! We get lots of calls from people looking for some ‘refresher’ lessons, so rest assured, you are not alone! Been a while since you were behind the wheel? Wish you had the confidence to drive anywhere? Been driving abroad and want to brush up your driving on UK roads? Whatever your background, experience or level of confidence, taking refresher driving lessons will blow away the cobwebs, improve your driving ability and build up your confidence behind the wheel! Tell us what you need and we can deliver exactly that. Maybe you want to get to grips with roundabouts. Maybe you want to be more confident in the city. Maybe you just need that reassurance that what you’re doing is right. Or maybe you need UK familiarisation driving lessons. Whatever your needs, we are here to help you! Our driving instructors are based in and around Oldham, so if you are looking for a refresher driving lessons in Oldham, Rochdale, Chadderton, Middleton, Ashton-under-Lyne, Failsworth, Saddleworth or North Manchester, get in touch! You have already taken your first step, now let us do the rest! Ring our brilliant driving school in Oldham today on 0161 410 1011, request a call back, or book online.